That’s Amazon’s description of a Flash Briefing. 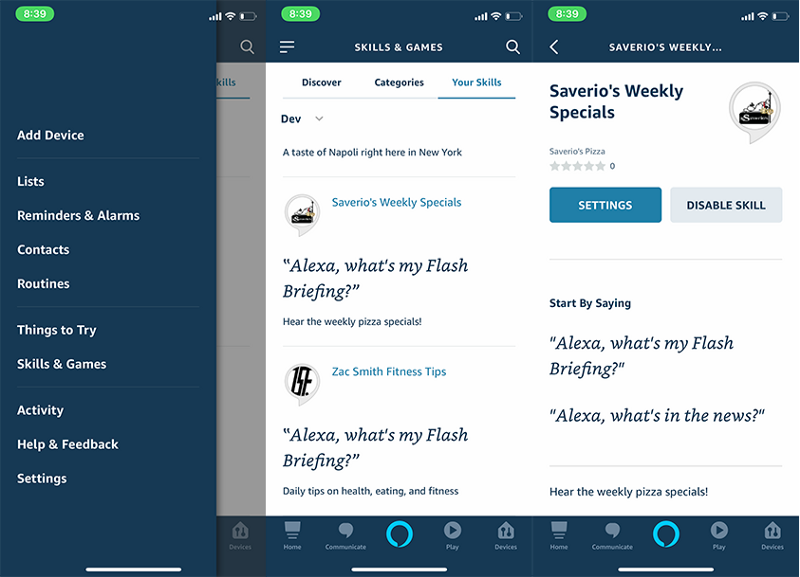 In truth, a Flash Briefing is a type of Alexa Skill. It’s a broadcast, but it doesn’t have to be the news, it can be your news. Anything that has to do with your business can be broadcasted to about 4 people at one time. The more important question is why would customers care about what’s going on in your business? One of the most trackable features of a Flash Briefing. Think of it like the Call to Action of a Facebook Ad. It’s accessible on your customer’s phone during or after the Flash Briefing is played. Here’s how you set that up. Once you register for an account, let’s create your first Flash Briefing! 5. Once that is done you can hit save all the way at the bottom, and even publish it directly to Amazon from this screen as well! Redirection Url: This is the spot where you would put the Call to Action. This could be a coupon, or a landing page for conversions. 9. Almost there, let’s add your flash briefing to your Amazon Echo. 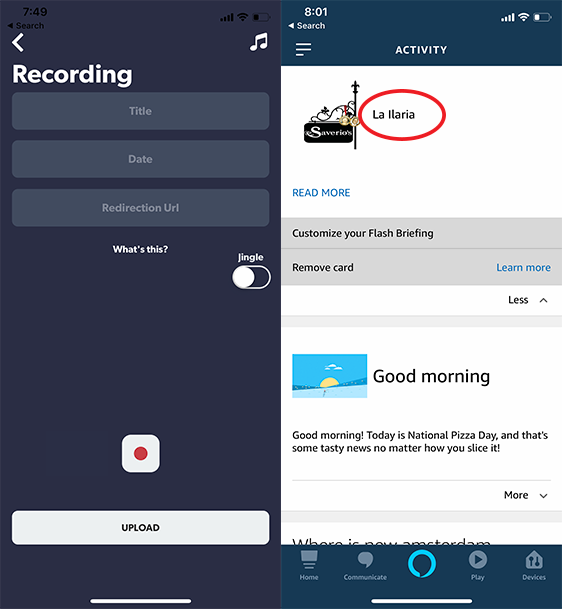 Open the Alexa app. 10. Click the side menu on the upper left, then select Your Skills. Once in there, you will find your skill and just hit Enable.